Understanding that not all brain injuries result in the same symptoms, you need to be cautious in making any assumptions regarding your health after a major sports-related collision or car accident in which your head receives a significant blow. The brain is an extremely important and sensitive organ. Even the slightest disruption to the brain can result in permanent and life-altering consequences. It is critical to receive medical attention the moment you suspect you may have a concussion. By addressing pain from a holistic and mental aspect, Advantage Healthcare Systems treats a wide array of chronic conditions that cause persistent pain. It is our mission to improve the quality of life for our patients by emphasizing abilities, minimizing disabilities, and encouraging prevention, health, and fitness as a way of life. 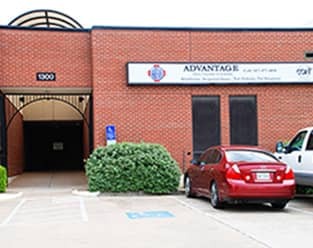 Advantage Healthcare Systems provides highly skilled doctors, therapists, and technicians to meet the individual needs of the patients we serve. When you choose a facility or provider... we will stand above the rest.